One tribute awaits on each stamp; printed in security ink, visible only under UV light! 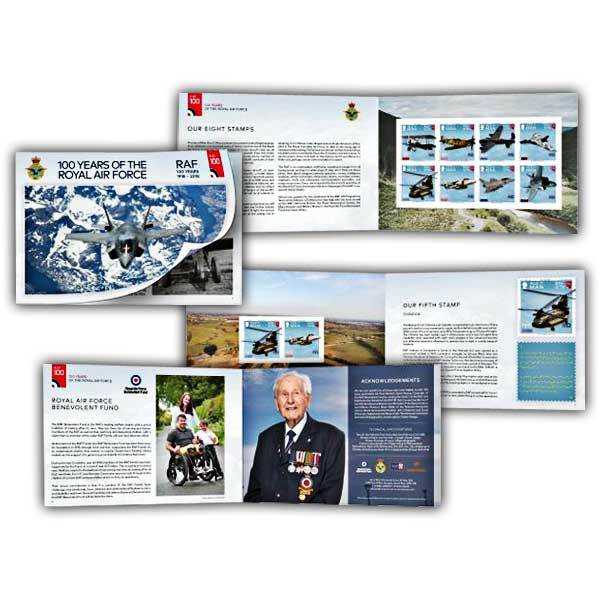 This prestige full colour 24 page brochure includes two sets of self adhesive 100 Years of the Royal Air Force stamps. It likewise includes extra text offering more history about iconic aircraft from the whole history of the oldest flying force on the planet. 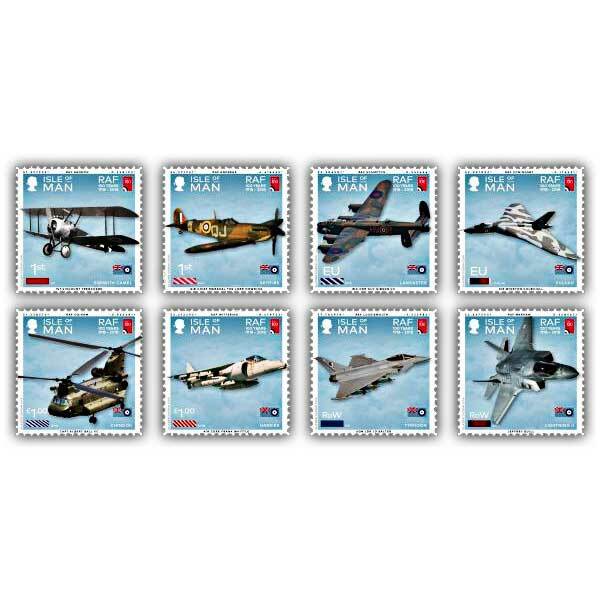 These stamps feature more than just the chosen aircraft; on each stamp you will likewise discover: the name of the airplane, a medal ribbon and medal initials, the RAF Ensign, the name of an essential person associated with the Royal Air Force, the name of an RAF base and the GPS coordinates of the airfield. Some of the additional details in the stamps are so small that you will have to magnify the stamps to see them, however one more tribute awaits; printed in security ink, noticeable only under UV light, the sonnet High Flight by John Gillespie Magee appears on the stamp, not in lettering, however in Morse code. Magee was an Anglo-American officer pilot in the Royal Canadian Air Force; he died at the young age of nineteen while training. His popular sonnet was composed shortly before his death and is an around the world favourite of astronauts and aviators. To see the poem, shine a UV light on the stamps and if your Morse is a little rusty, maybe use an online translator to read it. The First stamp bears the Sopwith Camel, maybe the most known of the First World War aircraft. The Second stamp, the Supermarine Spitfire is maybe the most renowned British fighter airplane. The Third Stamp features the Avro Lancaster which was the principle heavy bomber used by the RAF in the Second World War. The Fourth Stamp illustrates The Avro Vulcan (later Hawker Siddeley) which was a high-altitude bomber that served the RAF from 1956 to 1984. The Fifth Stamp, The Boeing CH-47 Chinook is an immediately recognisable twin rotor heavy-lifting aircraft utilized for troop motions, supply and battlefield casualty evacuation. The 6th stamp is The Harrier or Harrier Jump-Jet, a jet powered aircraft capable of vertical liftoff and landing, making it extremely versatile. The seventh stamp, The Typhoon is an agile multi-role fight aircraft used in dispute, peacekeeping and air-policing. The last stamp, The Lockheed-Martin F-35B Joint Strike Fighter, known in the UK as the Lightning II is a 5th generation STOVL multi-role supersonic stealth airplane with a flexible and extremely capable weapons system. Benedict Glazier and Ivor Ramsden.